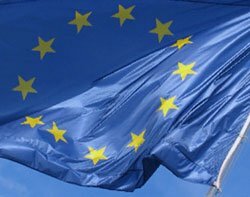 The European Commission is to consult on a revised spectrum plan to encourage the development of access to mobile broadband networking at a minimum of 30Mbps by 2020. The consultation document published this week calls on member states to authorise the use of spectrum for mobile broadband in the 2.6GHz, 3.5GHz and 900/1800MHz bands by 1 January 2012, and in the 800MHz band one year later. Nick Fookes, managing consultant with market analyst Coleago, said the commission's moves were unlikely to affect the UK auction of 800MHz and 2.6GHz spectrum due in November 2011. "If the auction goes ahead as planned, the UK will in line with Europe," he said. Fookes said the use of 800MHz spectrum was vital to extend mobile broadband to sparsely populated areas and within buildings. This made it highly desirable to mobile network operators (MNOs) who wanted to grow their market share outside the present coverage areas, but without having to build lots more radio masts, he said. "800 is important for coverage, 2.6 for capacity," he said. Fookes said the relative speed with which the commission was moving on 800MHz was to quickly create a large "ecosystem" that would reduce user costs. The commission also called on member states to free up spectrum that would encourage the development of applications that use the Galileo civil navigation satellite, and make it possible to deliver satellite broadband services at comparable terrestrial costs.